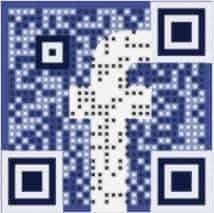 Welcome and we hope you’re enjoying our online publication concerning the ins and outs of qr codes and other mobile commerce based technology news. About Andrew: Founder and editor, Andrew discovered QR Codes in a marketing meeting sponsored by his past employer. Quickly he realized that this would spread like wildfire and wanted to be one of the people responsible for the daily updates and news related articles. Shortly after that meeting, Andrew dove in, head first, and hasn’t looked back ever since! About Loreen: With mostly an insurance background, Loreen has grown to love and appreciate the QR code as much as the rest of us. Business matters have been her forte for more than 20 years and we immediately saw the potential of having her on the team with mobile commerce taking off like it is. Her knowlegdge will help us illustrate the many different industry mobile marketing can be useful in. Loreen is not only Andrew’s assistant editor but is one of our writers on staff and webmasters as well…a jack of all trades, she is! About Stephen: He is a young and ambitious writer from California. Graduating from college with majors in both journalism and English, he has developed a strong and assertive style that synergizes well with his passion for knowledge. A firm believer that experience is the key to writing, Stephen has thrown himself into projects that have taken him all over the world. His works have been featured in a number of publications and he is the author of the eBook The Tin Man. About Jennifer: An author of many children’s stories with a technology feel or twist if you may. Also, she has completed her first animated screenplay, “The Computer Bug”. Jennifer loves digging further and finding the true answers to stories which has taken her to the next level of her career, the world of journalism. She has found her niche in technology, just like she did with her children’s stories. About Jesse: He has been a huge advocate in vocalizing the power of QR code marketing. A real estate agent by trade, first learned about 2D barcodes as a marketing idea for his business but then started to realize the power that this black and white code can hold. Jesse feels the potential in America is of great abundance but has realized the importance of education and has become a dedicated writer to reaching out to the public. About John: A teacher by trade, found writing to be of second nature for him and took a special interest within the topic of technology. He is one of our prize writers as well as back up editor to Andrew. John also has realized, as we all have, how important QR code education is to every consumer and business owner. About Jorge: His background is in the field of science and engineering. Jorge has written many science fiction short stories and is currently working on his book. Born and raised in Los Angeles, he has found a home here at QRCodePress. About Lisa: She is a true starving artist and working her way through college writer. Lisa has taken a particular shine to QR codes and the stories that they tell. Currently, her major is business but that changes with the season. We enjoy Lisa’s free spirit and share her love of technology. About Sam: Specializing in writing screenplays and the occasional short story, Sam has been known to fly of the side of mountains at high speeds. What we’re trying to say is, Sam is our out and about man…a lover of the great outdoors, his passion is rock climbing, snowboarding and motocross. If you meet Sam he’ll probably talk you into jumping out of plane or scuba diving, so don’t say you weren’t warned. About Stephanie: Mother of two as well as know-er and see-er of all! At least she likes to think she is…don’t tell her we told you that! Writing fits in nicely with Stephanie’s fun filled scheduled. Stephanie is now starting her first children’s story…we can’t wait! About Julie Campbell: Though her true passion is for writing her own fiction novel and holding fundraisers in support of the fight against cancer (as well as donating her hair to that cause in 2011), Julie has created both a name for herself and a successful business in the writing industry. For more than ten years, she has focused her career on capturing the latest technology news, which now includes a particular interest in QR codes and augmented reality.